An earplug is a device that is meant to be inserted inside a user’s ear to protect it from loud noises. These noises could range from concert music, loud auditoriums, stadiums, gun shooting etc. There are many earplugs available in the market. Here we will review some of the best earplugs for shooting range. The Eargasm high fidelity earplugs are actually marketed towards musicians, specially concertgoers. However, it can definitely be used for the shooting range. There are many features of this earplug and it has been proven to be one of the best when it comes to blocking that unnecessary noise. The eargasm high fidelity earplugs protect your ears from loud noise. They can be used for a variety of purposes such as concerts, festivals, and shooting ranges. The earplug has loads of features. It comes with an attenuation filter that preserves some sound but cuts out all the other sounds. The device has a Noise Reduction Rating (NRR) of up to 16 decibels which is very good. You can also adjust the volume of the ambient sound you want to listen. The earplugs come with different shells so, it provides you with a perfect fit. 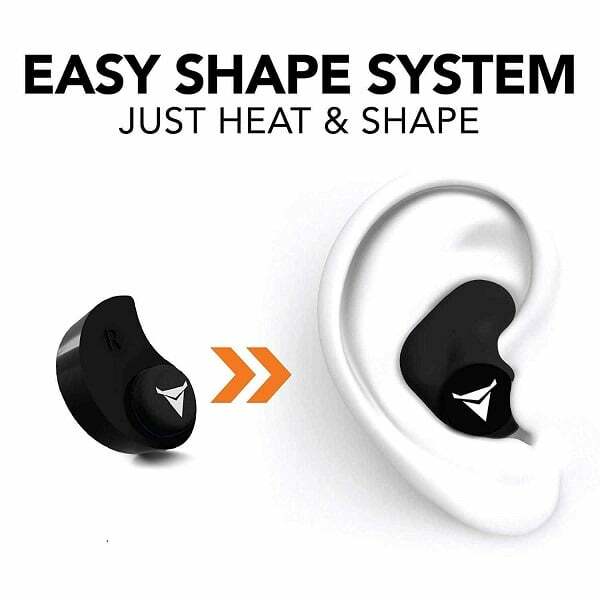 In addition to this, the earplug is made out of soft silicone which is comfortable to wear but the material does have a rather fragile build. It is also equipped with an ergonomic aluminum case which is a great addition. One flaw is that you won’t be able to fully enjoy a concert if you wear these but you would safely enjoy it. As far as the shooting range is concerned, we see no problem there, you should be good to go with these. The verdict that this device gets is positive. Not only is this a device that protects your ears, it also filters out the noises that are not needed. There are only minor flaws but the pricing makes up for it. The device is recommended. The Decibullz custom moulded earplug have super fit. They can be fitted to the exact shape of your ear. The noise isolation that the device provides is second to none and it is also very comfortable to wear. First of all heat the thermoplastic molds in boiling water. Cool it for a while and shape it into the size of your ear. If you don’t get the fit, remold the molds. 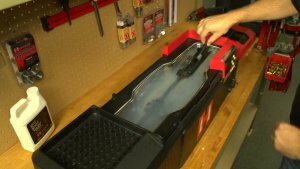 The easy shape system allows you to remold the molds. The device is very compatible with every type of surrounding. It will be of great use while shooting range. In the pack, you get two Decibullz thermoplastic molds, three sets of triple flange tips; Small, Medium and Large. It also has a set of Max Protect Medium foam tips and a portable carrying pouch with Decibullz logo. The earplug is also very lightweight and has great build quality. It offers a Noise Reduction Rating of 31 dB. There are some minor flaws such as the discomfort it may cause to some and the fact the device could fall from your ears if your jaw movement is excessive. 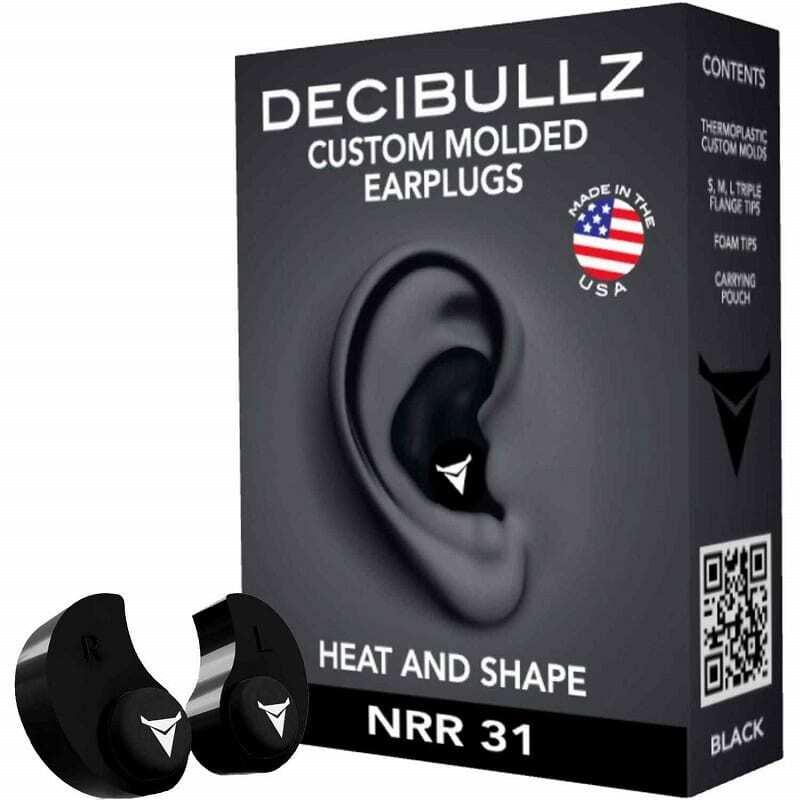 Despite having some minor flaws, the Decibullz custom molded earplug is a great earplug to have if you’re looking for something convenient to wear on loud noise environment. The comfort from the molding of this earplug is the best. The downside, however, is the same comfort for some people. So, it is kind of a slippery slope here. Regardless, this earplug is recommended. The Surefire EP4 Sonic Defenders is an American product with a great build quality and an excellent sound blocking mechanism that does its job effortlessly. The earplugs come with a lot of features, a sturdy build quality and an immersive design. The fit, on the other hand, is a major issue and so is it’s small size. The SureFire EP4 has a Noise Reduction Rating of 24dB. It comes with filter caps which enables you to hear safe sound levels despite the earplugs. The build quality is very good. It is made out of hypoallergenic, medical grade polymer. This material is soft, it is durable and it lasts long making the device worth a purchase. The material also makes the earplugs super easy to wear. 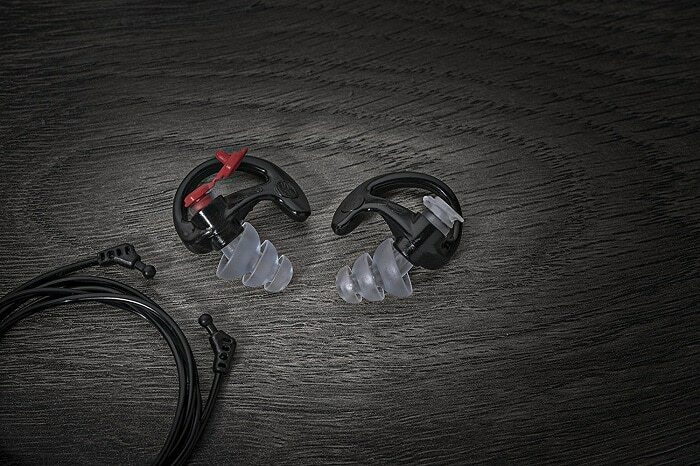 SureFire also has their own patented technology called Earlock Retention rings, this technology basically uses seven contact point to lock the earpieces in place and every time you wear it, the earplugs fit. There are some flaws too. One of the major problems that this device has is that the fit isn’t for everyone. Also, the device is pretty small so, it can be lost easily. There are some few things that I’d have personally liked to change about this earplug but all in all, it’s okay. It does what it’s meant to do so, it’s a really great buy if you want to buy it. If you want to buy a comfortable earplug with a great design that blocks all the unnecessary noise while you’re shooting, go for it. 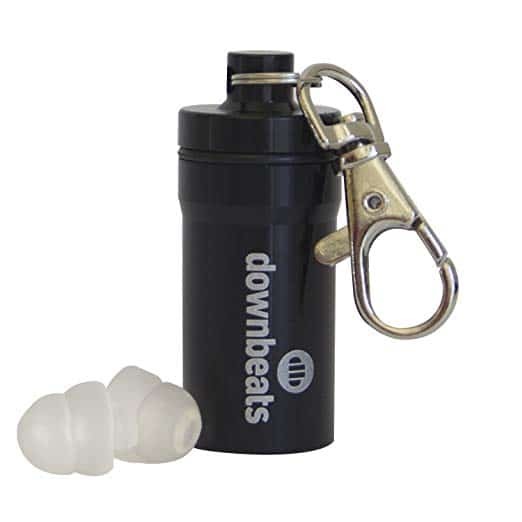 The DownBeats Reusable High Fidelity Hearing Protection earplug is actually made to handle live music. It filters the sound and only lets the hearable sound in. The device is a really great way to protect your ears without spending too much. It is probably the cheapest of the bunch. The first thing that we noticed off the bat was how affordable the price is. In addition to that, the earplug has a really good design coupled with a comfortable fit. The NRR is really low, it is 18 dB. This might be the reason why the earplug reduces so much sound. We discussed in our buying guide that the NRR shouldn’t be less than 18. This is right on the borderline. Also, the product comes with an aluminium case which is pretty good. Because the NRR is so low, the earplug has an abnormal sound reduction. This makes conversating hard. The fit is also on the downside and it results in your voice being loud on your head. The DownBeats Reusable High Fidelity Hearing Protection earplug is right on the edge of good and bad. Some of the features are pretty good here, it comes with an extra case, has a really affordable price, the design is great and the fit is comfortable. But because of that fit, you’ll have difficulty speaking and since the sound reduction is so much, it makes it difficult to hear other people. This is really an anti communication earplug. But, if you want to buy an earplug on a budget then, we’ll recommend this. The Zwolf Ear Plugs are meant for sleeping. The earplugs are the best in the sleeping department as it cancels out all the sound. As far as the features go, the Zwolf earplugs are waterproof, comfortable and the build quality is really great. One downside is that it blocks most noise so, it might not be perfect for shooting range but it kind of does the work it’s supposed to do. Although meant for sleeping, the Zwolf earplugs can also be used as a shooting earplug. The earplug has a great build quality. It is made up of medical grade silicone and it is very safe for the ears. The earplugs are also waterproof. The comfort is top notch because of the build material. The earplug can be used in a variety of conditions like concerts, parties, shooting, stadium events etc. The earplug has an NRR of 23 dB. 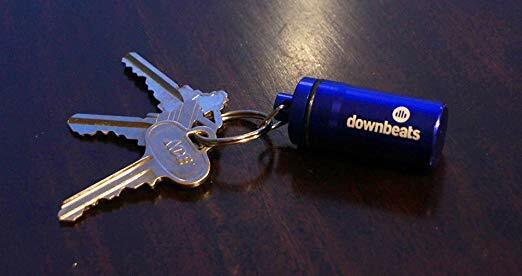 It also comes with an aluminium container that can be hanged on a keychain and it is portable. The noise cancellation is commendable and the design is comfortable to wear. The downside is that it doesn’t have a fitter so it blocks all sound. You wouldn’t want that in some activities. However, it is the way to go if you want to focus or sleep. The device doesn’t have that much of a flaw. Sure it does have a bit of downside here and there but overall, the earplug is pretty good. It does what it’s meant to do better than expected. Let us start with NRR which stands for Noise Reduction Rating. It is one of the most important factors to take into consideration that’s why it is number one on the list. The NRR of an earplug determines if it’s effective at providing you with hearing protection. You can go for an NRR of 22 to 30 dB. But what does it mean? Well, if you have a firearm that produces 140 dB of sound, an earplug of 24 dB NRR will reduce the sound of the gunshot to 24 dB. You don’t want to go below 18. The range you can opt for is 20 to 35 with 22-30 being the sweet spot. Comfort largely depends on the size of your head, size of your ears and the amount of time that you’ll have the earplugs on. As far as determining comfort goes, you need to try it on your own. Maybe visit a local shop and see for yourself? Or, If you want to buy it online, you can always read the reviews of the products online and then make an informed decision. The earplugs need to have a comfortable fit for you. Too tight or too lose earplugs wouldn’t be something you’d want. The design, on the other hand, is optional. But people do tend to be picky so, it might be kind of important. Everyone wants to have a style statement so, design becomes quite a visible factor. The customers are more attracted by the presentation of a product. Many manufacturers do provide you with a variety of options on design schemes and colour range. For shooting, an army style design would be a good choice I guess but that is only our opinion. As far as appearance goes, everyone has their own preference. Earplugs can be rather big but you wouldn’t need a really big earplug if you’re just shooting a gun which doesn’t produce much noise. Hence, the compatibility problem occurs. You need to buy an earplug which is compatible with the gun that you’re shooting. As far as build quality is concerned, you’d want your earplugs to be around for a long time. So, you need to buy one which has less moving part and is manufactured with quality material. Generally, electronic earplugs aren’t considered to be the best. The reason being that electronic earplugs don’t have much NRR. But if you really must get an electronic one, then you can look for the one with safe sound and the one which has features such as music and radio support. The Non-Electronic ones can be bought without a double check. This kind of ties in with the comfort. Too big earplugs are harder to wear and so are too small earplugs. The size should be proportional to your head. If you want more NRR though, it’s better to go for an earplug with the biggest size. We also advise you to check for the ones which can be folded. Even the big ones can be portable if they have a good folding mechanism. An expensive earplug is in no way a better earplug. There are countless features that are found in relatively cheap earplugs. Also, more price doesn’t get you more NRR. Whereas, Every extra feature comes with a price hike. It is up to you to decide the best one for yourself. If you want a ton of features then you might want to increase your budget. Otherwise, u can go for a basic earplug that gets all the basics right. It’d be really a waste of money to spend a lot of money on gimmicky features. You can although spend money on a good build quality, ideal NRR, comfort and compatibility. The noise from a gunshot is pretty loud. Most guns ring up to 140 dB from a single gunshot which is way above the limit of 85 dB for ear safety. Hence, it is crucial to choose the best earplugs for a shooting range. 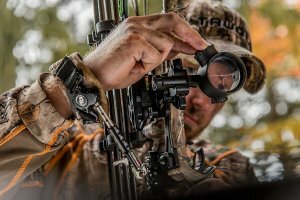 It will allow you to shoot for hours without sacrificing your ear safety. Still, many people don’t take it seriously and suffer serious repercussions later. That is why it is crucial that you study this extensively and only then make a decision. Shooting and Hunting can be a bit expensive activity for some. People still do it for that sweet adrenaline rush and unquestionable fun. While you are shooting or standing near a person shooting a gun without any protection to your ears then, your ears will be in danger. 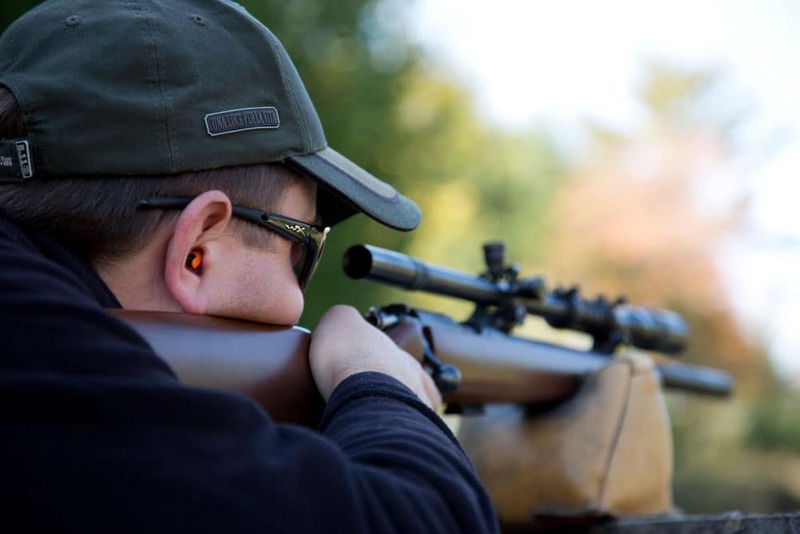 A day of shooting without proper ear protection could result in permanent damages like “ear ringing” and even loss of hearing. When it comes to sound, our ears are sensitive. They’re unable to withstand noises of certain decibel levels. However, there are certain devices that can protect your ears. They’re called Hearing Protective Devices (HPDs), these devices are used by soldiers. For normal use though, earplugs come into play. Q. Do I have to use an earplug for shooting range? Ans. Yes, gun sounds can be dangerous to your ears, you should definitely use an earplug for shooting range. Ans. Noise Reduction Rating (NRR) is a measure of the amount of sound that an earplug blocks out. For instance, a 24 dB NRR will reduce a 140 dB gunshot to 24 dB. Q. What should I consider before buying an earplug? Ans. You should consider the earplug’s price, it’s comfort, compatibility, size and build quality. Q. Should I get an Electronic Earplug or a Non-Electronic earplug? Ans. Go for a Non-Electronic one, it is affordable and great. Most electronic earplugs are gimmicky. Q. Which brand should I choose? Ans. Brands don’t really matter. Go for the types of features you get at a certain price range. You should see your budget and decide accordingly. In conclusion, there are a handful of earplugs that you can buy on the market right now. We saw how NRR determines the overall soundproof nature of the earplug, the importance of build quality and other factors that are equally necessary for a great earplug. At the end of the day, it all boils down to the needs of the consumer. So, a consumer must be able to judge the right and the wrong. There might some features that some people might not like whereas the same features might be important to others. Therefore, you should look into it in more depth, weigh in all your options and then make an informed decision while purchasing the best earplugs for shooting range.